One of the most successful fashion designers in the country shares his love affair with fashion. An artist and entrepreneur, Rajo Laurel has learned to juggle his two roles quite well. Fashion designer to the country’s elite and president of several companies, the former assistant to design legends Pepito Albert and Louie Mamengo is now a prime example of how hard work, discipline, and creativity combined with business savvy creates a world class local brand—with style. In 1993, Rajo Laurel started in earnest to pursue his dream of becoming a fashion designer by establishing Rajo Laurel Enterprises, a company that specialized in made-to-order couture clothing. He did so after completing his degree in human resource management from De La Salle-College of Saint Benilde and later getting formal training abroad, first at the prestigious Fashion Institute of Technology in New York for his Bachelor of Arts in fine arts, then at Central St. Martin’s in London for his BA in fashion design. 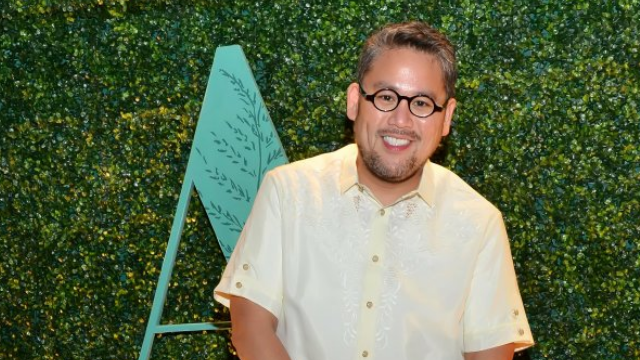 When he put up Rajo Laurel Enterprises, he installed himself as its president and creative director and named his sister, Venisse Laurel-Hermano, as its general manager and his mother, Virginia Teves-Laurel, as its chief finance officer. The company had only P20,000 in initial capital, and most of it went to the purchase of a second-hand sewing machine, a flatiron, and an electric fan. With the assistance of his trusted tailor, he began working out of a rented basement. It helped that in 1992, Laurel began his apprenticeship with Louie Mamengo, then in 1995 with Pepito Albert. Both well-known designers, Mamengo and Albert taught him the basics of the fashion business and provided him with a network of suppliers. Through them, he gained valuable experience in fashion design and fashion business management. Initially, Laurel’s clients were mainly family members and friends. Through the years, however, his clientele grew to include highly prominent personalities, celebrities, and politicians in the Philippines, among them former Presidents Corazon Aquino and Gloria Macapagal-Arroyo. Along the way, his designs became nationally famous, gracing countless runways, TV shows, magazine covers, and concert stages. In 2004, he put up the House of Laurel in Makati City as main showroom for his ready-to-wear collection, catering to clients who prefer to have a boutique-style shopping experience attended by trained in-house stylists. Laurel’s retail line consisted of clothing for women, expectant mothers, and children’s wear as well as shoes, bags, jewelry, and other accessories. Laurel later ventured into another fashion line: stylish corporate uniforms for clients such as airlines, international hotel chains, and multinational corporations. He created the Laurel et Ross brand for this line. Over the years, not only has his company grown by leaps and bounds; Laurel has also been reaping local and international accolades for his work as well. He has joined major fashion shows and exhibitions abroad, staged several major galas and created premiere collections showcasing Philippine textiles. The world-renowned designer and savvy businessman is also very much involved in social development work. Laurel is active in Rags2Riches, a livelihood generating enterprise for women in the depressed community of Payatas in Quezon City. His role is to design and transform scraps of cloth into fashionable items that will be sewn together by the women and sold commercially, thus providing income for them.